We are very proud of the caliber of geldings we raise. They have been involved in all aspects of ranch work. They work well for usandare the kind of using horses we like. You owe it to yourself to own and ride one of these horses. 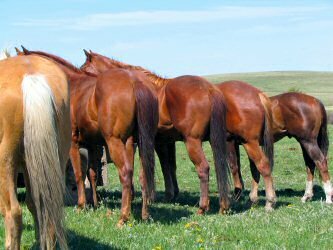 Geldings are consigned to the14th Annual Ranch Country Horse Sale in Maple Creek, Saskatchewan on September 8, 2018. COLONEL STANDS 15.1 HH. 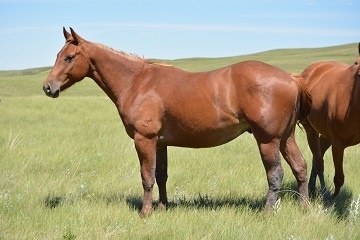 REAL NICE GELDING REDY TO START. FLAXEN MANE AND QUIET. HALTER BROKE..
SMOKEY STANDS 15.3 HH. WE HAVE NOT STARTED HIM. HE IS HALTER BROKE AND QUIET. Updated Friday July 08, 2016.